Performance improvement expert has released Leading People Through Change: The Essential Guide for Building Your Change Resilience, Coaching Your People to Commitment, and Increasing Business Results. The report focuses on leadership skills and techniques that managers can employ in change management. Omega Performance announces the release of Leading People Through Change, its new paper on leadership skills and techniques for change management. The paper is available for download at omega-performance.com. Organizations that are successful at change understand that change occurs one person at a time. Effective change management is based on spending enough time and effort on the individuals in the organization, not trying to make change happen to the organization. This distinction often challenges today's change leaders, according to company research and analysis presented in the paper. "If managers can find a way to bring people through a change individually, they can manage the organizational change successfully," says Connie Hritz, Omega Performance senior vice president, research and development. "Leading People Through Change is our guide for doing that. It addresses the steps managers need to take and the leadership skills they need to have to be authentic about their own feelings regarding the change, gain commitment to the change from individual employees, and ultimately realize the benefits of the change." Leading People Through Change is one of many complimentary resources offered by Omega Performance to help organizations improve business. For more information on Leading People Through Change, a new paper on leadership skills and techniques for effective change management, please visit omega-performance.com. Omega Performance has enabled more than 2,500 firms worldwide to drive and sustain improved business results. The company is a wholly owned subsidiary of Informa plc (INF on the London Stock Exchange), the leading international provider of specialist information and services for the academic and scientific, professional and commercial business communities. Informa has over 150 offices in more than 40 countries and employs over 7,000 staff around the world. 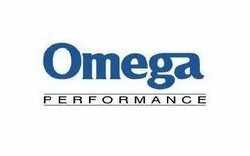 Omega Performance is headquartered in Charlotte, N.C., USA, with major offices in Australia, Canada, China, New Zealand, Nigeria, Singapore, South Africa and the United Kingdom.